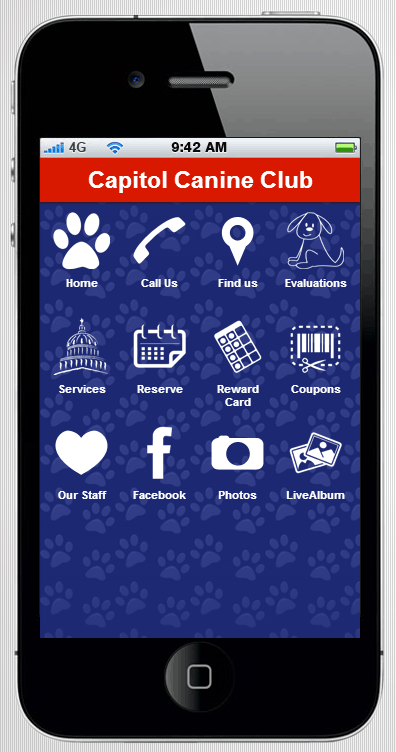 Download this Capitol Canine Club app and have all of our information at your fingertips. Use our reward card and coupons to save money. Meet our staff, contact and find us easily.